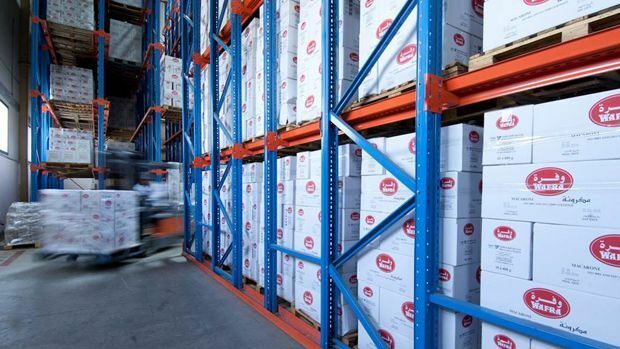 Abunayyan Trading’s Logistics Division was selected to design a warehouse for Wafra. Of the various solutions we prepared and proposed, Wafra selected the drive-in model, which optimally utilised space and created room for additional quantities beyond the requirements by distributing pallets in eight blocks of 11,500 mm height. We were thus also commissioned to build the warehouse, due to its efficient design that comfortably accommodated more than 10,500 pallets of 1,000 kg.